For non-comics fans, “The New 52” refers to a 2011 DC Comics revamp in which the company unveiled 52 new titles with fresh takes on beloved characters. 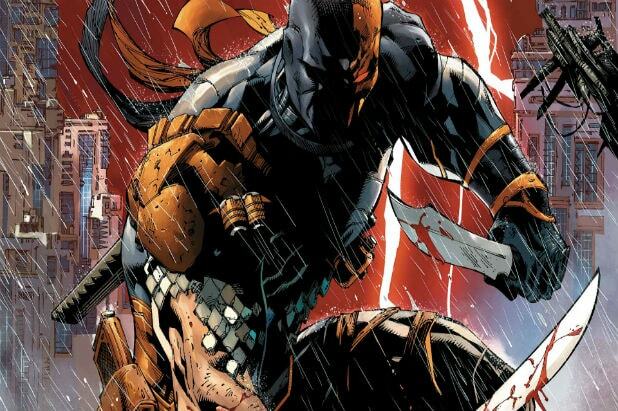 Deathstroke, who will be played in “The Batman” by “True Blood” and “Magic Mike” star Joe Manganiello, was created by Marv Wolfman and George Perez. The mercenary assassin first appeared in “The New Teen Titans” issue 2, back in 1980. Wizard magazine rated him the 24th greatest villain of all time. Batman and Deathstroke’s first encounter was in the 1991 story arc “City of Assassins,” in which Deathstroke pounded Batman to a bloody pulp. Manganiello’s casting was first reported by the Wall Street Journal, and came after TheWrap confirmed that Deathstroke would be the lead villain in the Warner Bros. film, which will follow the “Justice League” film being released next year.